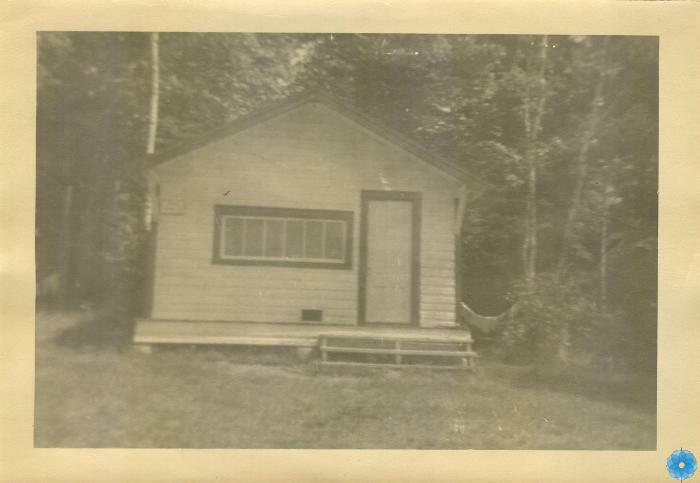 Description: Small black and white photograph of the front view of a small cottage in a wooded setting with lots of trees. It is a single story with a door on the right side, with six pane window at left. There is a small deck with three steps leading to the front door. Identified as the Gow Camp at Greenfield, N.S. History of Use: Taken to document summer cottage.